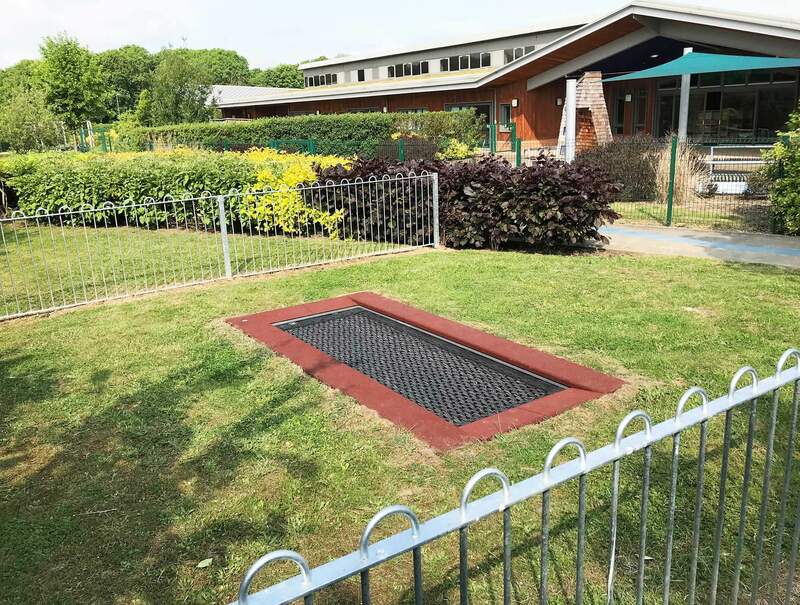 The site was situated within school grounds, so the installation team was scheduled to complete works within half term to negate the risk to the children. 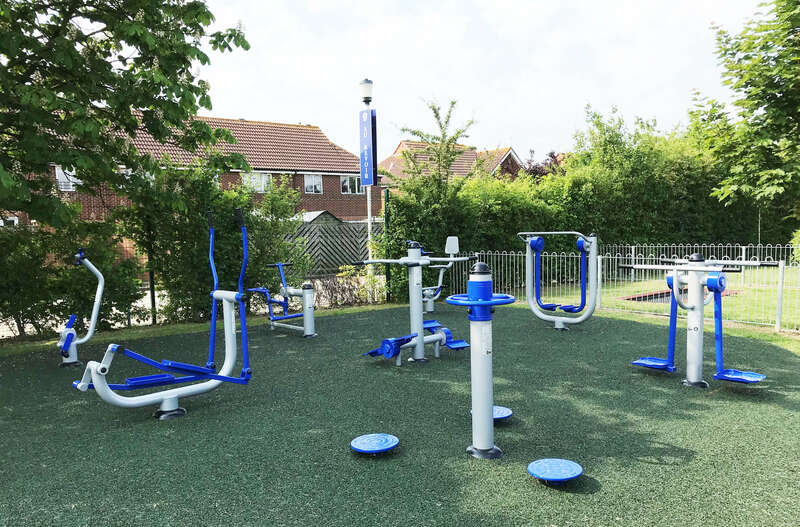 The team swiftly installed the gym, trampoline, surfacing and fencing to complete the job on time and to specification. The fitness space has been a great success with the children, the multiple units has created a fantastic social space for the children to get fit and hang out with friends. The seatless arm bike also means the gym is suitable for users of all abilities with various low impact options available. 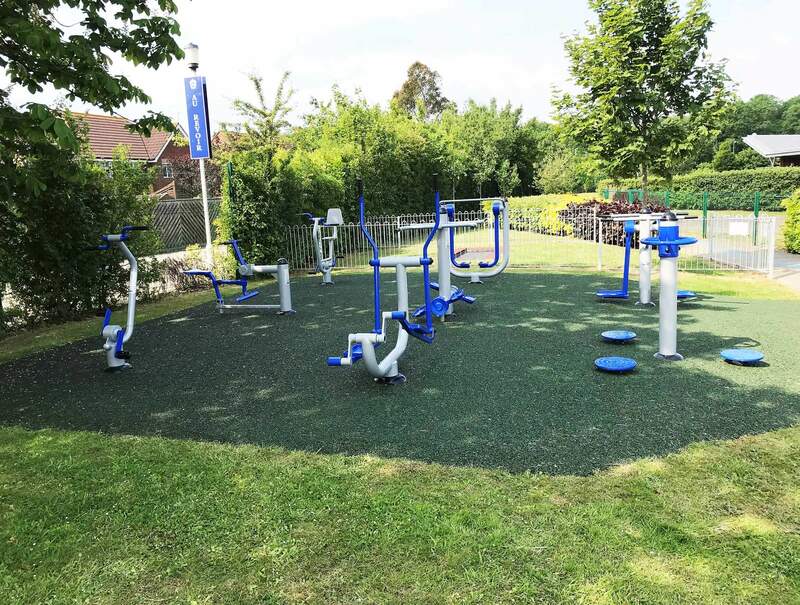 The bonded mulch surfacing offers a wheelchair friendly drainage solution which allows to gym to be used all year round. The in-ground wheelchair trampoline has been a great hit for play time and allows everyone to get involved. Fencing this off from the gym creates a safe space for children to play.